Organized by: AGI | Art, Globalization, Interculturality, Departament d´Història de l’Art, Facultat de Geografia i Història, Universitat de Barcelona. 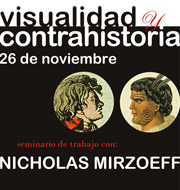 From his monograph The Right to Look: A Counterhistory of Visuality (2010), Mirzoeff argues that, beyond being a term emerged from postmodern theory, visuality refers to ways of seeing back in the Napoleonic era that subsequently were theorized as a conservative strategy towards emancipation and liberations that arose at that time. In this seminar, Mirzoeff will talk about this subject, as well as the possibility of theorizing a visuality of counterhistory. 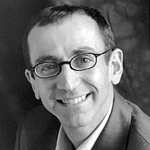 Nicholas Mirzoeff is Professor of Media, Culture and Communication at NYU. It has a very distinguished career in the area of visual culture, one of the figures who has focused his extensive body of research in the development of visual culture as a field of study and methodology. His books The Visual Culture Reader (1998) and An Introduction to Visual Culture (1999) are key resources to any first approach to visual studies. He has also produced several monographs on a variety of topics such as: global visual culture and the Iraq war; art, modernity and the body; and the representations of African and Jewish diasporas.